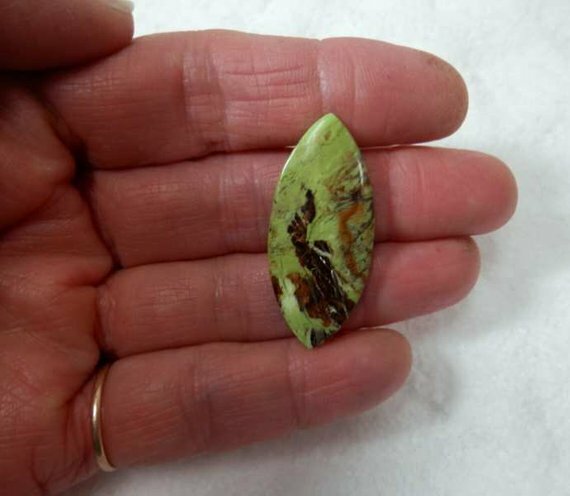 Australian Gaspeite Designer Cut Cabochon. 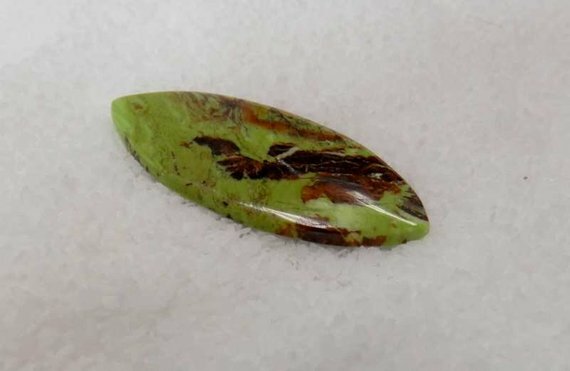 This beautiful intense day-glo spring green designer cabochon of rare top grade natural Australian Gaspeite is fully finished front and back. The back is flat with the proper angle cut for ease of setting. The long marquis gives this cab a huge impact and the matrix pattern is enough to establish that this is the real deal! Not a dyed howlite or some other junk. Ken just finished this piece and we think you will like the result! The cabochon measures approx. 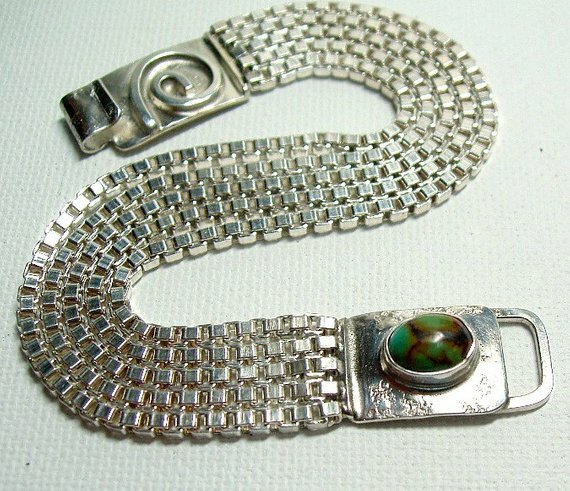 40mm x 17mm x 4mm and weighs approx. 24 cts. Thank you for looking and as always, buy with confidence!